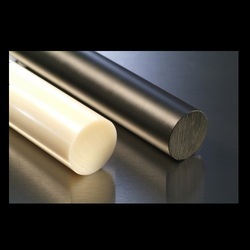 Prominent & Leading Manufacturer from Mumbai, we offer nylon rods. Gained respectable position as a manufacturer, we are engrossed in offering Nylon Rods. Developed by incorporating extrusion technique, our offered rods are extensively demanded to be used in bearings, grommets, nuts & bolts, washers, cams, gears, spindles, and pulleys. Apart from having physical and mechanical properties, these rods are known for their features like good impact resistance, heat resistance, good shock absorbing properties, non-inflammability, toughness, and abrasion resistance. Looking for Nylon Rods ?